No1Reviews.com is currently undergoing a facelift! 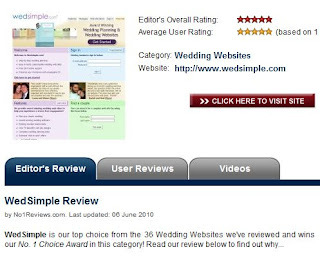 With a new tabbed design, including tabs for the editor's review, user reviews, screenshots and videos on all our product review pages, we hope that No1Reviews.com will provide you with an enhanced user experience. Our user review system allows you to not only post your own ratings and reviews, but also comment on the reviews left by others and vote on the usefulness of those reviews. 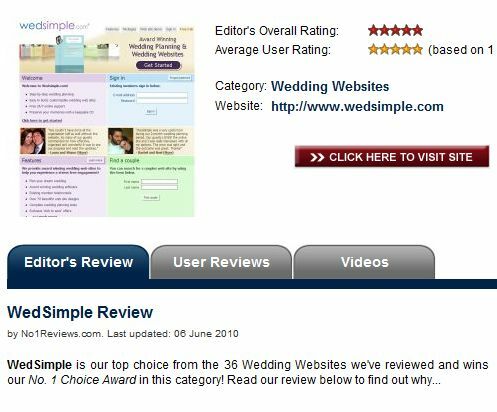 Each of our review categories now also comes with a buying guide, giving you more information on the category as a whole and tips on what you should look for and what you should avoid when making your decision. We've also moved the site to a brand new dedicated high-speed server and stream-lined much of the code that drives the site, making No1Reviews.com run faster than ever. From our point-of-view, No1Reviews.com will now be much easier to maintain, allowing us to spend more of our time keeping our reviews up-to-date and adding more and more categories and reviews in the future. And that's not all - we also have many new and exciting features on the way, so stay tuned for more updates! Zoosk.com is by far the most noteworthy of these new online dating sites. Launched in December 2007, it is the fastest growing social dating network/community, with a jaw-dropping database of 50 million members (A.K.A. 'Zooskers') based in 40 different countries around the world. As we noted in our recent review of Zoosk.com, online dating is a numbers game: the larger (and geographically broader) the database of members on a dating site, the greater your chances of finding someone, in your locale, that appeals to you. So a database of 50 million Zooskers based in 40 different countries around the world is an incredible achievement for a site which is a relative new-comer to the online dating scene. A key ingredients in Zoosk's success is the innovative way in which it integrates with social networking sites such as Facebook, MySpace, Bebo, and Hi5. In fact, currently, Zoosk is unique in allowing users to connect across multiple networks: a Facebook user can interact with a MySpace or Bebo user. By piggy-backing on these well-established social networks, it has quickly gained a large market share in online dating. Zoosk.com also offers a virtual gift giving feature; a common idea in the social network domain but relatively uncommon amongst conventional online dating sites. According to Zoosk.com, in 2009, Zooskers exchanged more than 1 million virtual gifts. The revenue generated from this virtual economy must surely have contributed to Zoosk's success. Another factor which was central to Zoosk's rapid growth was its ability to raise millions of dollars from investors, much of which was then ploughed into advertizing campaigns to rival those of Match.com, eHarmony.com etc. Zoosk Mobile is another great feature which allows Zooskers to remain in the loop, even when they're away from their computers. Zoosk.com certainly seems to represent a new breed of online dating site; one that is geared to the world of social networks which we now inhabit. Zoosk has an enviable 50:50 ratio between male and female members. At present, 65% are less than 30 years of age; 24% are between the ages of 30 & 39; and 11% are aged 40+. It is impossible to determine whether or not the 50 million Zooskers are as active as the members of other online dating sites such as Match.com, because Zoosk.com does not, currently, provide a facility for seeing when exactly someone was "last online". This is one of the few shortcomings of Zoosk.com, but it is a significant one in our view. It's pointless trying to find your perfect match in a 'ghost' community of people who signed up with Zoosk.com to see what it was all about, but now rarely use it. We're hopeful that this shortcoming can be addressed by the creators of Zoosk.com because it is undoubtedly a site with incredible potential. Read our full review of Zoosk for more information.